Click on the model below for more info and photos. Click on the name of a Jeep model above for more information production years, photos and more of that model Wrangler. The Jeep Wrangler is the culmination of decades of decades of technology (and more than alittle trial and error), and the design of today’s Wranglers echos the military Jeeps that came before it. 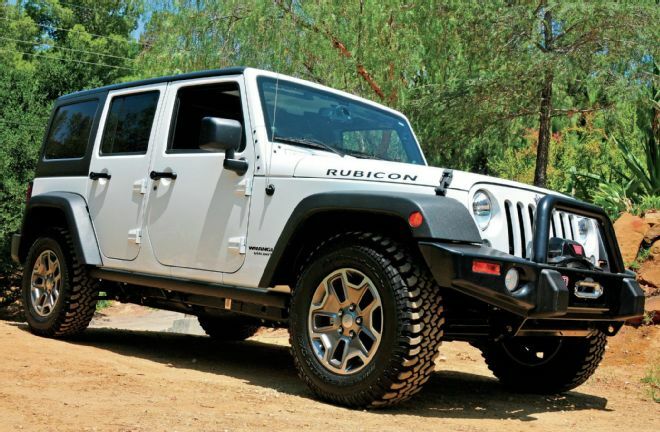 Jeep has built an enduring icon in the Jeep Wrangler. I’d bet you wont find a person who can’t identify the Jeep Wrangler’s distinctive styling. The US military produced Jeeps for multiple wars, and the service members who drove them liked them so much, that Jeep rolled out a line of civilian Jeeps, better known as CJs. Jeep sold these CJs from the 1940s through the 1980s, when Chrysler (the new owners of Jeep at the time) decided to make some changes. Chrysler got rid of the CJ nameplate, and went with a new name, the Wrangler. 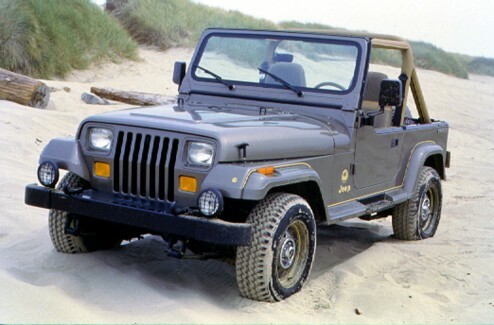 The Jeep Wrangler YJ begain the Wrangler name, and was produced from 1987 through 1995. It’s most well know for it’s square headlights, but did bring a number of upgrades and improvements. Some of these included fuel injection, a wider leaf spring, and a galvanized body for rust prevention. Even with these changes, the Jeep Wrangler YJ kept it’s classic styling, including removable doors, and fold down windshield. 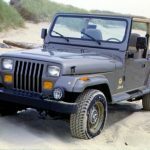 Chrysler decided that the Wrangler needed a refresh, and in 1997 the new version of the Wrangler, the TJ made it’s debut. The TJ made minimal body changes (although they did bring back the round headlights), but the bulk of the changes were in the power train and suspension. The leaf springs of all previous model Wranglers and CJs were eliminated, and a new coil spring suspension was introduced. The made lifting the Wrangler more challenging, but offered a greatly improved ride quality. 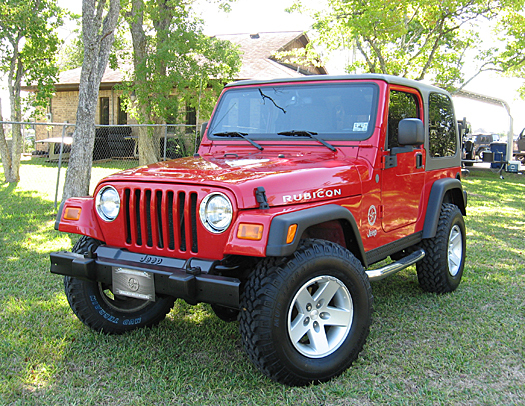 2007 brought another redesign of the Jeep Wrangler, this time the JK model was released. The JK touted not only a standard 2 door model, but a 4 door Unlimited model. 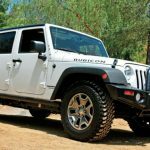 The newer JK model offered new stability controls, anti-lock brakes, traction control system, as well as and electronic limited slip differential. 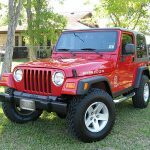 The Wrangler JK has a longer wheelbase than the TJ it replaced, it was actually a few inches shorter in overall length. At the time of this writing the LJ Wrangler has not been released, however it promises some new features. This includes an aluminium body for greater weight reduction and rust prevention.